With all the excitement surrounding the Nintendo Switch, it’s easy to forget that the 3DS is still having games regularly released on to it - and I’m not just talking about Nintendo’s own games, like Fire Emblem Echoes, either. 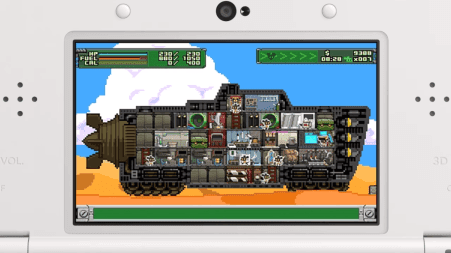 Each week we’re getting new 3DS games to play from third parties too, so I thought I’d take a quick look at some of the most notable games that have been coming our way in recent weeks and months. Arc System Works’ spin on the simulation game that everyone is doing these days deserves to be crucified for referencing a book it is in no way - literally or thematically - related to. Of Mice And Men is… well, it’s not even remotely related to a single thing about Of Mice And Sand. Putting aside the horrible misfire of a literary reference, this is a workmanlike example of the same principles that drove This War Of Mine, and most explicitly Sheltered, but without the intelligence of those games. In Of Mice And Sand you control a community of mice that are seeking a new home away from a blighted desert. They have to be on the move constantly, because a giant worm thing is chasing after them, but being on the move isn’t easy when you’re on limited fuel, and food resources. You need to balance the need to construct things to sell at outposts to then buy fuel, food, and “rumours” which point you in the next direction, with the real need to make constant progress forwards. The game itself is balanced quite well, and aside from blurry text that is nearly impossible to actually read, it’s an attractive and charming enough game. Where Of Mice And Sand ultimately suffers is that it doesn’t tell a story of survival, like its betters, and never convinces you of the urgency and desperation that you’re facing. It’s simply too gamey for its own good, and to be entirely honest, divorced of those narrative elements, games like This War Of Mine and Sheltered don’t have depth in gameplay to be considered greats as simulation games. That’s where this one finds itself. For some reason I prefer the Farming Simulator games on my 3DS than any other platform. It’s arbitrary and silly, because I know that, objectively speaking, the series looks and plays better on PlayStation 4 or even PlayStation Vita, and they’re far cheaper on mobile if I want that portable experience, but there’s a simple, relaxing elegance about noodling around in 3D with these games, getting into the basic rhythms of farming, and even zoning out as I play. The Farming Simulator games are excellent as basic pieces of edutainment, in giving people a better comprehension about just what farmers go through; the kind of equipment they use, the kinds of costs involved in being a farmer, and the sheer workloads that these people face. 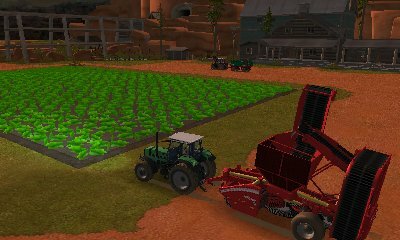 Somehow, in game form, it’s an entertaining kind of work, and on the 3DS, there’s less complexity than in other versions of Farming Simulator, making it less useful as education, but more relaxing to actually play. Related reading: Matt's review of Farming Simulator 17 on the PlayStation 4. It looks good on the 3DS’ screen, too. Simple, but good, with a largish world to drive around, and plenty of plots of land to buy up as you slowly earn the kind of cash you need for that land. It’s possible to use Nintendo Play Coins to get in-game cash really quick, but the real longevity is in simply watching those fields of vegetables grow. It might not have the charm of Harvest Moon, but there’s a purity to the experience in Farming Simulator 18 that also means it avoids the irritants. I am an airport fanatic; I love the experience of being in airports, the aesthetics of both the buildings and the planes, and I find the operations that actually manage them to be utterly fascinating; how all those systems come together to create a mode of transport that is so inherently dangerous so safe is a true testament to humanity’s ability to be disciplined and organised. I’m always itching for airport simulators as a result. I want to manage airports, but most “serious” games around aircrafts are about flying the things, which I’m less interested in. 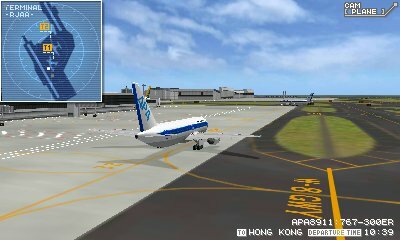 On the iPhone I have some neat business simulators about building airlines, but Airport Hero Narita is the closest that I’ve had to a simulation experience on console. It’s more of a time management puzzle game than a simulation of the whole airport (there’s no financials to consider, for example, and no need to worry about what happens inside the airport terminals, which is disappointing), but while it’s limited, it’s good fun. In managing an airport you need to determine the takeoff and landing process for each airplane that comes through it. This means managing taxi routes from the gates to the runways, accounting for the wind in determining where planes can fly from, and making sure that each plane has clearance to proceed through a takeoff or landing at a number of checkpoints. A single crash and it’s mission over, and while the easy levels are very easy, time management skills are called into extreme question by the time the hard missions roll around. There are only 12 missions in this pack, but there’s another edition of the game - based on Hawaii - that’s also available for download. These are niche games, for sure, but they’re nicely designed and a good hit for people like me that are counting down to the next overseas trip. I love Harvest Moon and end up buying and playing every game in the series, but there are so many Harvest Moon games on the 3DS now (especially if you include the “spiritual” Harvest Moon, Story of Seasons), that Skytree Village is really unnecessary. I want to see this series grow and start to do some interesting things (like a full HD game on PlayStation 4), but it seems that the franchise is actually languishing with ever-diminishing budgets. Skytree Village does so little to build on Harvest Moon. It’s a Minecraft-inspired Harvest Moon, in that, like Minecraft, you’ll raise and flatten land in order to carve out the cozy kind of farm that you’ve always wanted, and that core mechanic is enjoyable enough, but so many of the visual assets and design elements are reused from The Lost Valley, and so much of the game is fundamentally the same, that it does feel like a very lazily put together game. Related reading: Clark's review of Harvest Moon: The Lost Valley, which this game borrows very heavily from. The game is still very playable, and that same old loop around farming up some veggies in order to afford the adorably cute animals is as entertaining as always. 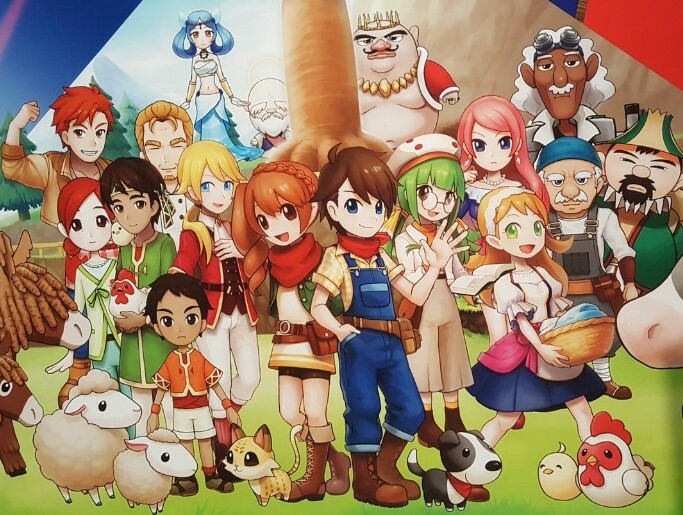 If you’ve somehow missed all the other Harvest Moon games on the 3DS, then you could get a real kick out of Skytree Village, but at this stage the only people in that position will be the people that either don’t own a 3DS (and this game won’t be enough to buy one for, that’s for certain), or people who aren’t interested in Harvest Moon in the first place, and this game won’t turn them onto the series either. 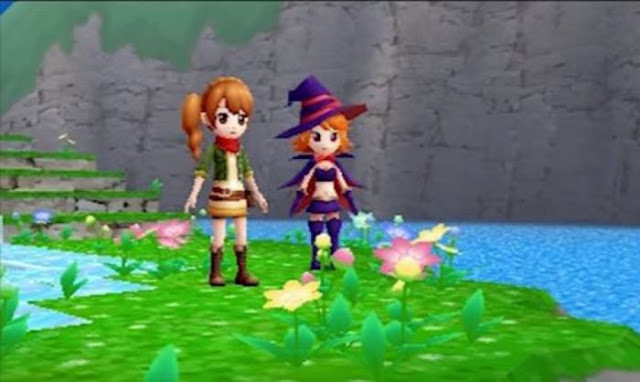 I hope the Harvest Moon franchise can find some of its spark and creativity back. I’d like to see it return to form. Now that development on the series has been forcibly shifted to newer consoles (with the 3DS being largely legacy now), perhaps we’ll finally see that happen.